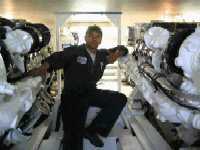 Boston Fuel Injection is well-known in the Boston area as experts when it comes to marine diesel. The major enemies of your marine diesel engine is sea water and dirty fuel. They cause corrosion and gelling, which leads to fuel leaks, heavy smoke, low power, and damaged parts inside your pump and injectors. At Boston Fuel Injection, our factory qualified technicians will disassemble, clean, inspect, and replace any damaged parts according to factory specifications. Each pump and injector is calibrated and tested before it leaves our shop, with a one year warranty on parts and services. Our New England mobile service provides on-site fuel injection and diesel engine service and repairs for CAT, Cummins, Perkins, Lugger, Man, John Deere, Detroit Diesel, Volvo, and Duetz marine engine series. 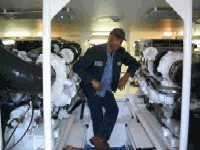 Boston Fuel Injection shops are authorized marine dealers for CAT and Northern Lights marine diesel generators sets. We provide sales and service for units 5 kw to 708 kw, both marine and industrial. Northern Lights quality generator sets can be used to power anything from a lobster boat to standby power for hospitals or hotels, or mobile industrial units for construction sites. Our parts department stocks parts for small or large Northern Lights generators. Our in-shop and mobile service department provides diesel engine service for Northern Lights, CAT, Onan, Kohler, and John Deere diesel gen-sets. In our shop, on the water, or on the construction site, we can service your diesel gen-set. 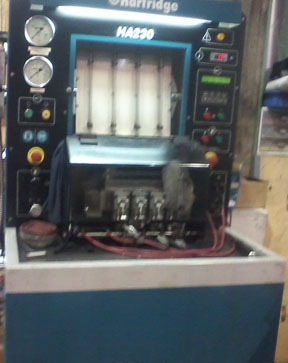 Boston Fuel Injection provides complete diesel fuel injection and diesel engine service for Woodward Hydraulic Diesel Governors, Fairbanks and Alco Injectors on large vessels, steam engine turbines, and large diesel powered generators.